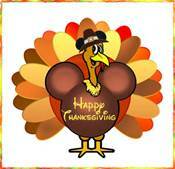 Happy Thanksgiving from all of us at Family Realty! We hope you enjoy the holiday with your family and friends. But, if you realize that your home is no longer big enough to host the festivities, contact Family Realty to begin searching for your new home. Our website is always open!